Pack of two TACT switches for Samsung commercial microwave oven start switch. 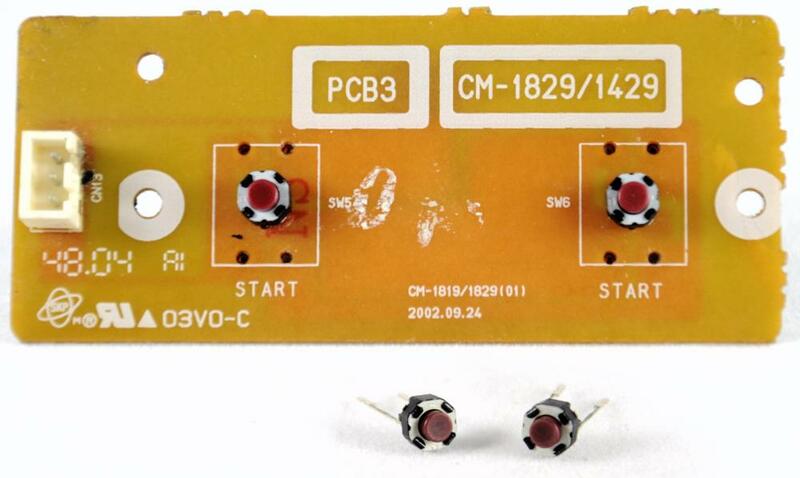 Pack of two replacement TACT switches for the start switch PCB used in Samsung commercial microwave ovens. Note: these switches are only available as a separate item, the start switch PCB is not available as a spare part. Note: There are two types of board each with different switches. Please check that this is the correct type. See our listings for the other type.